Actors Tom Holland and Mark Ruffalo are infamous for giving out spoilers and Avengers: Endgame co-director Joe Russo says the team took extra measures to keep the plot of the movie a secret from them. The director shared the update at an event in Mumbai on Monday when asked about the plot points from the highly-anticipated movie. He revealed that Holland was not even given a script while filming of the movie. "Here's the thing. I'll take any questions about Avengers: Endgame but I'm not going to answer any question on the plot of Endgame! Three years of protecting the plot from Tom Holland and Mark Ruffalo, so I'm not going to stand here and give away about the film. But I appreciate and admire your effort," he said. Talking about how they protected the secrets from Tom Holland, Joe said he never got his hands on the script. "Tom Holland does not get the script! He gets his lines, and that's all, along with who is acting opposite him. Then we use very vague terms to describe what's happening in the scene," he said. 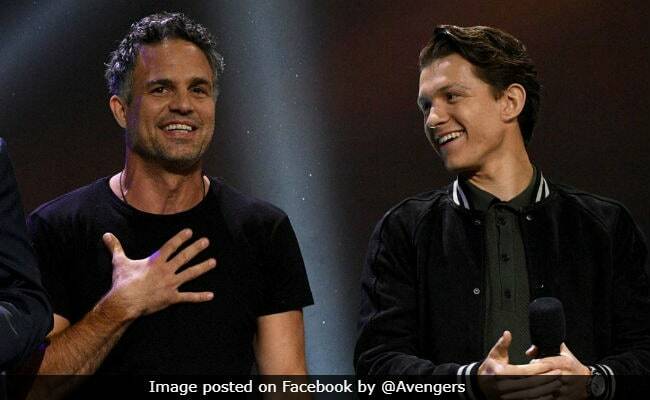 Mark Ruffalo and Tom Holland earned the reputation of worst secret keepers, as they have let out spoilers on several occasions. Once Mark Ruffalo gave out ending of the film during an interview, and once he accidentally streamed Marvel's Thor: Ragnarok. And Tom Holland is known for slip-ups while giving interviews. He even asked fans to not give out spoilers after watching the movie, which is slated to release in India on April 26. "Please don't spoil the movie. There are more secrets in this film than there were in Avengers: Infinity War. Respect other fans... Don't tell them the story... Let them experience on their own." The director was impressed by the fandom of Marvel films in India. He said: "Here is the thing about Marvel fans, they read between the lines in everything."